Iranian Political Prisoners Still on Hunger Strike …..
Hossein Ronaghi Maleki, Said Razavi Faghih , Iraj Hatami, Farid Azemoudeh and Behzad Tarahomi . Hossein Ronaghi Maleki and Said Razavi Faghih are two political prisoners who suffers from illnesses / health complications and are inside ward number 7 at Evin prison . they are on their 4th and 7th day of hunger strike because the prison and judiciary officials denies their medical care. Also, Farid Azemoudeh, Iraj Hatami and Behzad Tarahomi were the past employees of the defence Ministry who are in Rejaei Shahr Prison as national security prisoners. The prison officials at Rejaei Shahr transferred these political prisoners from ward 12 ( A political ward ) to general ward (among criminals ). They want the officials to return them to ward number 12. IRAN WATCH CANADA : The judiciary of the Islamic regime and in general the judiciary system of the regime needs reform and a new head of judiciary, who is not appointed by Khamenei the leader but an independent body who think independently and is impartial . Right now Khamenei imposes his political will on the judiciary system . So long as the door of the judiciary turn on this pivot , nothing will change . According to news Parastoo Azizi the daughter of Mostafa Azizi said, my dad was given two weeks holiday to visit family on Nowrooz festivity on fifty Million Tuman Bail . Mostafa Azizi was sentenced eight years imprisonment in preliminary court and after spending almost a year , in a recent appeal court his sentencing is reduced to three years imprisonment , knowing that he is already spent one year in prison ,he has two years more to go . 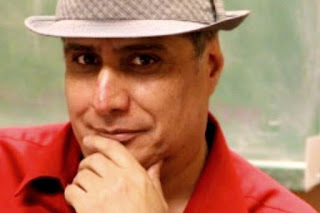 Mostafa Azizi came to Canada with his family in 2008 and returned to Iran in December 2014 to visit the sick father and extended family members . Mostafa Azizi was sentenced by Judge Moghiseh in preliminary court to 8 years imprisonment, Five years for association and collaboration to commit conspiracy , Two years for insulting the leader of the Islamic Republic and One Year for propagating against the Islamic state . Currently Mostafa Aziz has returned to prison after his two weeks family visitation . This Iranian Professor in US University Can't Get Iranian Passport For Her Child ….. According to news Ms. Negar Kiyavash an Iranian professor Can't get Iranian passport for her child . She is less than 40 years old and is a professor in US for 8 years . She teaches Electrical engineering / technical subjects in Illinois University . Her husband is not an Iranian . She registered is a high IQ person. In Speaking with Iran wire she said, she is not the only person who have this problem , another Iranian women like Ms. Maryam Mirzakhani also have same problem as her. 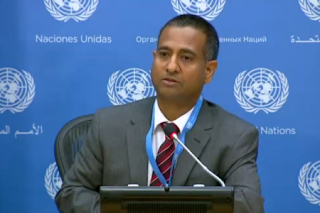 UN Human Rights Council Voted Yes on Doctor Ahmed Shaheed For Another Year as Reporter ….. 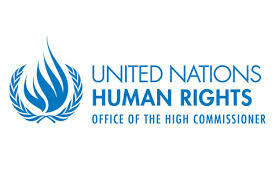 According to news , UN human rights council extended Doctor Shaheed's as the reporter on human rights in Iran . This makes it to six years for him as reporter on human rights in Iran. 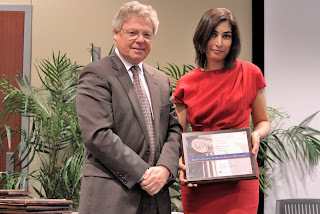 IRAN WATCH CANADA : Wishing Doctor Shaheed best of he alt and success. 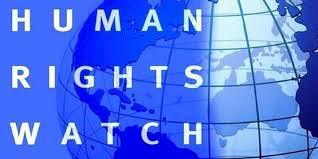 (Beirut, March 24, 2016) – Iran should remove restrictions on access to lawyers for people charged with national security crimes, Human Rights Watch said today. Nine months after Iran’s new criminal procedure expanded detainees’ access to a lawyer during the investigative phase, authorities are denying people charged with national security and political crimes access to an independent legal defense. These defendants should be able to choose their own lawyers. Human Rights Watch interviewed lawyers, political prisoners, family members, and sources familiar with cases of detainees facing national security and political charges. Human Rights Watch documented several instances over the past year in which the detainees were denied access to lawyers during investigations or were forced to change their legal advocate under pressure by judiciary officials. However, three days before the law went into effect, parliament passed new amendments that further restricted the rights of people charged with national security crimes. The amended article 48 now requires people accused of certain offenses to select their counsel from a pool of lawyers approved by the head of the judiciary. These offenses include national or international security crimes, political and media crimes, and charges that incur capital punishment, life imprisonment, or retributive punishment (Qisas). The new amendments also backtracked from the 2014 code’s provision that information obtained in the absence of a lawyer would be inadmissible, imposing only disciplinary measures instead. The judiciary has yet to provide the list of pre-approved lawyers mandated by the new law, but even in the absence of a list, officials are using this provision to arbitrarily reject lawyers appointed by detainees or their families. Iran has consistently failed to prevent torture in detention and to investigate allegations of such abuse. Revolutionary courts use confessions obtained under torture as evidence in court. As a result, the right to access a lawyer from the time of an arrest is an important safeguard against abuses in detention. On July 6, the Iranian bar association published an open letter to President Hassan Rouhani opposing the 48 amendments and asking him to take necessary measures to reform the law. Several lawyers who spoke to Human Rights Watch, some of whom asked to remain anonymous for fear of reprisal, expressed frustration about the last-minute amendments. They noted that in numerous cases involving national security charges, the prosecutor’s office did not allow them to represent their own clients during the investigation. They also said that though they had filed several requests with the prosecutor’s office, officials had refused to allow them to visit their clients in detention or to have access to their case files, citing the lack of an approved list as justification. Salah Fallah, a lawyer who represents Nizar Zakka, a Lebanese citizen arrested by intelligence officials on September 18, 2015, said that Branch 1 of the prosecutor’s office in Evin Prison has not allowed him to visit his client. “I filed the paperwork two months ago and have not heard back from them,” he said. “All I want is to visit my client according to the law.” Sources close to Zakka’s family told Human Rights Watch that he is detained in Ward 2-A of Evin Prison under the supervision of Iran’s Revolutionary Guards and that the exact charges that he faces remain unclear to his family. Mahmoud Alizadeh Tabatayi, who represents several journalists, activists, and others facing national security charges, said that since the new criminal procedure went into effect, he has not had access to his clients’ case files during the investigations. He said he specifically requested access to the files of the journalists Davoud Asadi, Ehsan Mazandarani, and Issa Saharkhiz, and of the Iranian-American citizens Siamak and Bagher Namazi, all of whom are detained in Evin Prison. Iranian authorities arrested the three journalists and several others on November 1, 2015. 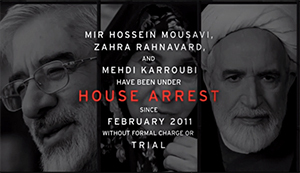 Tabatabayi said that Saharkhiz and Mazandarani have been formally charged with “acting against national security” and “propaganda against the state.” On October 15, Iranian authorities arrested Siamak Namazi, the head of strategic planning at Dubai-based Crescent Petroleum, who was visiting his family in Tehran. The charges against him are unclear. 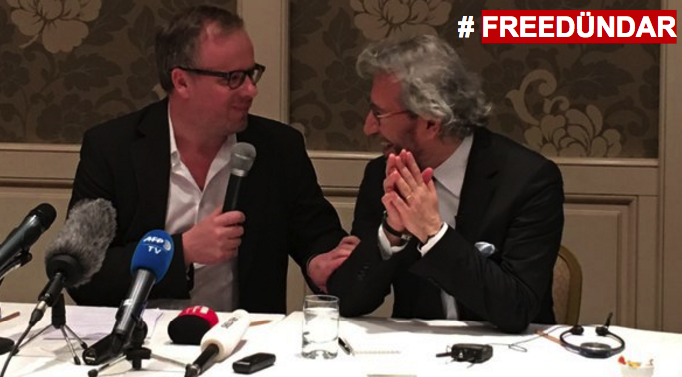 Authorities arrested his father, Bagher Namazi, a former UNICEF representative in several countries, on February 22, 2016. Human Rights Watch has also learned that authorities at Branch 2 of the prosecutor’s office denied the lawyer for Esmail Abdi, the secretary general of the Teachers’ Association, visits to his client and access to his case during the investigation. On February 22, Branch 15 of Tehran’s Revolutionary Court sentenced Abdi, who has been detained since June 27, 2015, to six years in prison on charges of “propaganda against the state” and “assembly and collusion against national security,” partly for a teachers’ demonstration in front of the Parliament on May 15. Citing the new amendments, at least one revolutionary court judge has arbitrarily refused, during trial, to accept lawyers for a person facing national security charges. 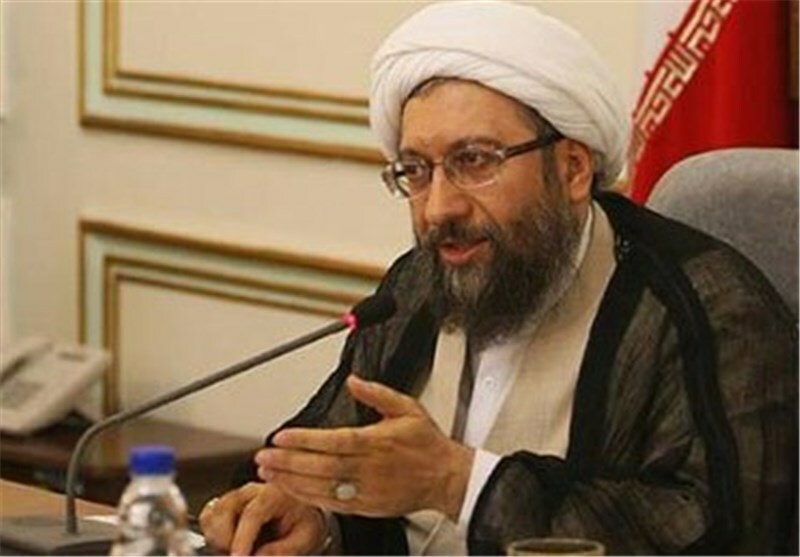 Several political prisoners said that Judge Abolghasem Salavati, from Branch 15 of Tehran’s Revolutionary Court, had refused to accept their lawyers at trial, or otherwise coerced them into appointing a new one without any clear legal basis. Arash Sadeghi, a former student activist who was sentenced to 15 years in prison by Branch 15 of Tehran’s Revolutionary Court on charges including “assembly and collusion to disrupt national security” and “propaganda against the state,” told Human Rights Watch that his family had appointed Peyman Hajmahmoud Attar as his lawyer when Sadeghi was detained in Evin Prison, but that the authorities at Branch 2 of the prosecutor’s office had refused to accept Attar, questioning the authenticity of his paperwork and threatening to file charges against him for forging documents. Iranian authorities arrested the couple for their peaceful activities and transferred them to Evin Prison on September 6, 2014. They were released on bail on September 27, 2014, and March 14, 2015, respectively, pending appeal. International law guarantees anyone accused of a crime access to a lawyer at all stages of criminal proceedings, including during the investigation, the pretrial proceedings, and during the trial itself. Under article 1 of the United Nations’ basic principles of the role of a lawyer, “All persons are entitled to call upon the assistance of a lawyer of their choice to protect and establish their rights and to defend them in all stages of criminal proceedings.” Article 14 of the International Covenant on Civil and Political Rights, ratified by Iran, says everyone charged with a criminal offense has the right to defend themselves through legal assistance of their own choosing, as well as to have adequate time and facilities for the preparation of their defense and to communicate with counsel of their own choosing. He was convicted by Saudi Arabia’s notorious counter-terrorism court, known as the Specialized Criminal Court (SCC), on a range of charges, including, “insulting the rulers of the country”, “inciting public opinion”, “accusing security officers of killing protestors in Awamiyya”, “ridiculing Islamic religious figures” and “violating Article 6 of the Anti-Cyber Crime Law”. The court also ordered the closure of his twitter account. All of these charges stem from tweets he posted online some of which were in support of Saudi Arabian women’s right to drive cars, human rights defenders and prisoners of conscience. Iranian prominent Actor Ezatolah Entezami in An Open Letter To President Rohani : It is Time To Fulfill Your Promises And To Remove The House Arrest From Three Leader Of The Green Movement …. Five Years Passed Since The House Arrests Of The Green Movements Leaders ! Its Time Hassan Rohani To Fulfill His Campaign Promises ! 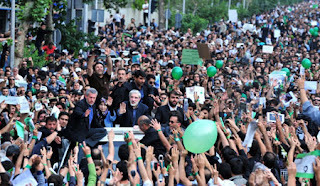 According to news coming from Iran , Ezatollah Entezami the prominent Iranian actor sent an open letter to president Hassan Rohani and asked him to fulfill his campaign promises and to remove the house arrest from the three leaders of the green movement who are under house arrest since 2009 presidential election coup. In his letter Mr. Entezami wrote: On the foreign affairs issue you have solved big problem , why can't you solve the internal national problem to remove the house arrest of the green movement leaders ? In response Mr. Nahavandian the head of the president's Rohani's office wrote : "Everything will be done on its time and with its suitable pace "
This is happening while earlier Cleric Nategh Noori the head of the leaders office said: It is not the Government/ president Rohani's jurisdiction or any others to enter on issue such as " Hasr " meaning the house arrest and he added ; Only leader and other high ranking state official will decide on this issue based on the national interest . (Beirut, March 17, 2016) – The United Nations Human Rights Council (UNHRC) should renew the mandate of its special rapporteur on Iran, 34 human rights and other organizations said today in a letter to council member countries. Iranian / Persian Started Their Celebration For The Coming Of New Year ( NowRooz -New rooz , new day or new beginning ) . 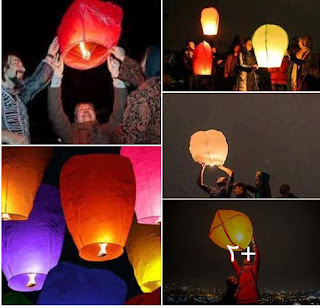 Iranian /Persian New Year Is Approaching ( March 20 - First Day of Spring) , Its Time President Hassan Rohani fulfill or Act on His Promises and Release All Political Prisoners and let them to celebrate new year festivities with their family members . Last night Iranian celebrated Char-ShanbehSouri , the last Wednesday of the year . They usually celebrate it on Tuesday evening . On Char- shanbeh-Souri Iranian clean their home , remove dusts and unnecessary /unwanted items from the home and make home fresh and clean again, then they attend at festivity by jumping on piles of fire and chanting : Take away my Yellowness/ faintness and bring me new/fresh blood or redness. 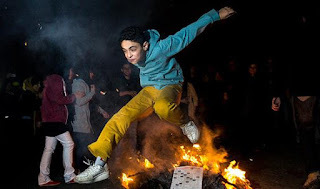 However Islamic regime top clerics through their messages tries to discourage or even prevent Iranian people to celebrate Char-Shanbeh -Souri and Nowrooz which were celebrated for more than 2500 years . One reason they do that is because, the Iranian /Persian new year isn't a religious day but it is the first day of spring , the birth or new beginning of the nature , so it isn't the birth Day of the Mohammad the Islamic prophet . The Islamic clerics therefore by their messages wish Iranian People to celebrate new year on Mohammad's ( the Islamic prophet ) birth day. Which did not happen under their 37 years of rule and it did not happen in 1400 years of Islamic cleric preaches. 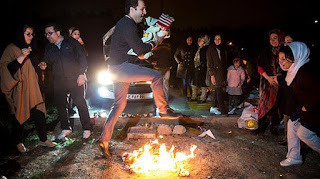 IRAN WATCH CANADA : Happy Char Shanbeh -Souri To all ………..
As Iran’s Foreign Minister Javad Zarif arrives in Canberra this week for talks to increase economic ties, his Australian counterpart Julie Bishop hopes to finalize an agreement to return thousands of failed Iranian asylum seekers back home. Even more reason then for human rights to feature high on the agenda. Last year the use of the death penalty in Iran soared to its highest level in a decade. The United Nations special rapporteur on Iran says Iran executed between 996 and 1054 people in 2015, mostly for drug offenses. Children feature on the long list of those executed. 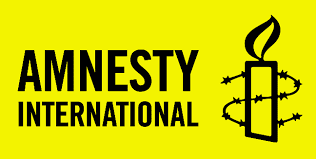 Amnesty International confirmed the execution of four child offenders last year: Javad Saberi, Vazir Amroddin, Samad Zahabi, and Fatemeh Salbehi. Iranian authorities continue to clamp down on free speech and peaceful dissent. Revolutionary courts have handed down harsh sentences against social media users, including several death sentences. People affiliated with banned opposition parties, labor unions, and student groups are routinely prosecuted. Ethnic and religious minorities are persecuted and women face widespread discrimination. And Iran continues to imprison dozens of activists and human rights defenders for their peaceful or professional activities. Bishop has said she will raise rights concerns with Zarif. It’s critical she sticks to her word – especially if failed asylum seekers are to be returned to Iran. Australia has a dismal track record on refugee rights. This includes failing to respect international standards for asylum seekers and refugees, abuses in its controversial offshore processing system, and outsourcing its refugee obligations to other countries. These failures have exacted a heavy human toll. Some recognized refugees sent to Manus Island in Papua New Guinea say Australian officials have offered them A$10,000 (US$7,500) to return home. Yet rather than enticing refugees to return to a country where they would be in danger, the government should be offering people an opportunity to move on with their lives in safety and certainty in Australia or elsewhere, not leaving them to languish in limbo on remote Pacific islands. 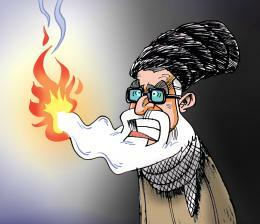 In the rush to welcome Tehran in from the cold, Australia should not trample over the rights of vulnerable Iranians. Iranian Workers Protest In Front Of The Governors Office Building In Isfahan And Chanted : Leave Syria Alone and Think About Our Situation !! 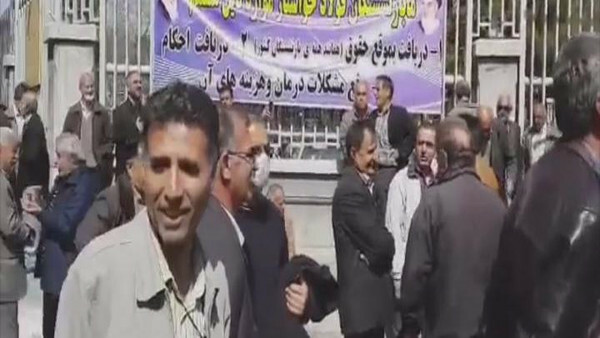 According to news, hundreds of Currently working and Retired workers of Isfahan Foulad Company staged a protest day in front of the Isfahan Governors building on last Saturday and chanted :" Leave Syria alone and think about our situation" . 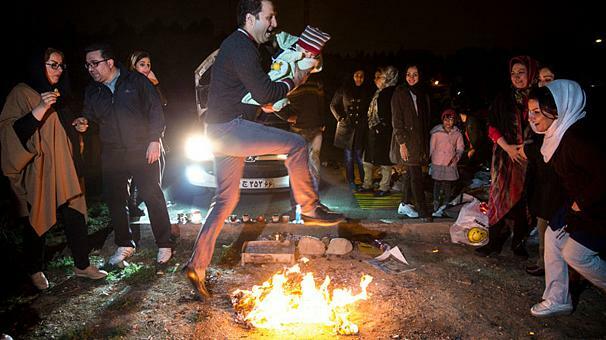 In the past year, there were hundreds of this kind of protest by Iranian workers for their rights or delayed in their salary sometimes for nine months in different part of Iran, but this is the first time the workers openly chanted : "leave alone the Syria and think about our situation". Heshmatollah Tabarzadi the general secretary of the Iran Democratic Front called opposition and intellectuals not to keep silence and protest against regimes crime in Syria and Iraq . 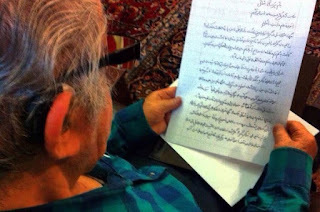 Sadeq Zibakalam a reformist professor and columnist also wrote a letter to Zarif the foreign secretary to stop supporting Asad and defending the Yemani Houti's. The workers protest in Iran is growing due to economic difficulties and huge corruption among officials . GENEVA (14 March 2015) – The United Nations the Special Rapporteur on the situation of human rights in the Islamic Republic of Iran, Ahmed Shaheed, today raised continuing concerns about the extremely high rate of executions, especially for juvenile offenders, and fundamental flaws in the administration of justice. Iran executed at least 966 prisoners in 2015, the highest such rate in over two decades. “With at least 16 juvenile offenders reportedly hanged between 2014-15, Iran remains one of only a few countries still resorting to this practice despite a strict prohibition against it under international law,” Mr. Shaheed said, presenting his latest report* to the UN Human Rights Council. “I urge Iranian officials to put aside efforts at piecemeal reform in this area and ensure, once and for all, that no boy or girl who commits a crime under the age of 18 is ever put to death,” he stated. Mr. Shaheed also highlighted fundamental flaws in the administration of criminal justice, ranging from laws that expressly violate Iran’s legal obligations to the failure of security, intelligence and judiciary officials to faithfully and properly implement provisions of Iranian law that comply with international law. While acknowledging positive steps towards real legal reform, he also noted reports that individuals accused of national security and drug crimes are often deprived of the most basic due process and fair trial rights, including proper access to lawyers, long periods of incommunicado detention, torture and ill-treatment and forced confessions used in court to secure convictions. Mr. Shaheed’s report, which assesses developments in the human rights situation in Iran since the UN expert last reported to the UN General Assembly in October 2015, also covers other areas of serious concern such as restrictions on the right to freedom of expression, freedom of association and the right to free and fair elections, women’s rights and concerns regarding the rights of religious and ethnic minorities. He expressed particular concern about the continued persecution of the members of the Baha’i community and the denial of their fundamental rights. The Special Rapporteur acknowledged efforts taken by the Iranian officials to engage with his mandate and cooperate with UN human rights bodies, and called on the international community to continue supporting the Government in realising its human rights obligations. The expert congratulated Iran for the successful parliamentary and the Assembly of Experts elections of 26 February 2016, and expressed hope that the new parliament will play a key role in the realisation of human rights by devising policies and laws that are based on international human rights standards. He also renewed his call on the Government to increase its engagement with the international community, including the United Nations human rights mechanisms, by admitting him for a country visit. Report of the Special Rapporteur on the situation of human rights in the Islamic Republic of Iran to the thirty first session of the Human Rights Council. The present report is submitted to the Human Rights Council pursuant to resolution 28/21. The report communicates developments in the human rights situation of the Islamic Republic of Iran that have transpired since the submission of the Special Rapporteur report to the 70th session of the General Assembly in October 2015. The present report outlines the Special Rapporteur’s activities since the renewal of his mandate by the Human Rights Council during its 28th session, examines ongoing issues, and presents some of the most recent and pressing developments in the country’s human rights situation. Although the report is not exhaustive, it provides a picture of the prevailing situation as observed in the preponderance of reports submitted to and examined by the Special Rapporteur. It is envisaged that a number of important issues not covered in the present report will be addressed in the Special Rapporteur’s future reports to the General Assembly and the Human Rights Council. 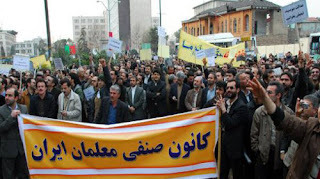 3000 Iranian Teachers And Human Rights Activists In A Letter To President Hassan Rohani Demanded For The Release Of The Imprisoned Teachers ……. According to news coming from Iran, 3000 Iranian teachers and civil rights advocates in a letter to president Hassan Rohani demanded for the release of the imprisoned teachers . In this letter ,they have indicated that, these teachers are the best teachers in the country and their crime is nothing but fighting for the rights of the teachers. They have also indicated in the letter that, if their crime is not political , then they must be tried in an open court with their lawyers , judge and juries. Rasoul Badaghi , Esmail Abdi, Mahmoud Beheshti, Ali Akbar Baghani and Ali-reza Hashemi . The signatories asked from president Rohani to use his constitutional power to release these teachers who are not guilty of any crime but only defending the rights of all Iranian teachers . Let’s continue to campaign for Can Dündar and all the other Turkish journalists who are being prosecuted just for wanting to keep us informed. Islamic Regime In Iran Banned The March 8 Rally ( International Women's Day ) ??? 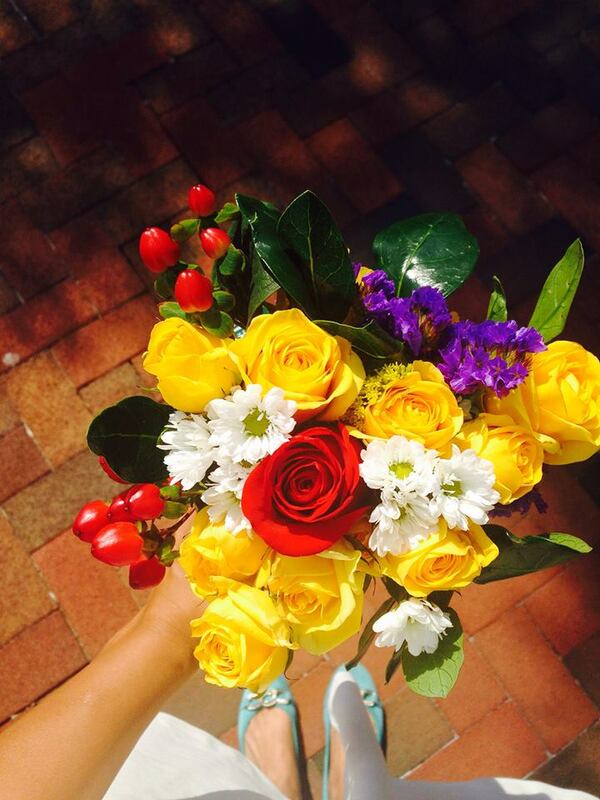 Congratulation To All Women on The Coming Of March 8 , The International Women's Day ! Despite of Continues anti women policy of the Islamic regime , the Iranian women never stopped to hold March 8 rally in Iran. According to news from Iran , " UNESCO program for peace , Human Rights and Democracy " which was planned for Today Sunday to discuss on the situation of women in Iranian society was cancelled by regime Judiciary and security forces. This program was supposed to take place in the college of law at Shahid Beheshti University. Nahid Tavasoli ( women Issues researcher) , Amir Nik ( Law professor) , Shahnaz Sajadi ( Lawyer ) and Pardis Ameri ( reseacher and social activist) . The ban on International Women Day , March 8 Rally has a long history under the regime of Shah and this regime . Islamic regime in some cases issues permit for the rally but when the Iranian women gather to hold the rally , the security forces including Sepah and Basij and police forces attend at the rally and enter into clashes with the women protesters, arrest or detains them and disperse the rest . 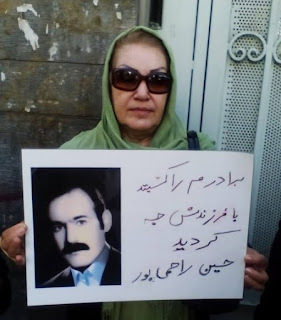 One of such rally was held close to nine years ago at Daneshjou Park in Tehran on March 8 which was attended by late Iranian renowned poet Simin Behbehani were she was also hurt . IRAN WATCH CANADA: On March 8 all the women around the world including in Iran wants to do by holding a rally to bring their issues ( Women Issues, short comings and success ) to the public , thats all they wanted to do . Raheleh Rahemipour Moghadam: You Have Killed My Brother Hossein Rahemipour Moghadam, What Have You Done With His Baby Daughter ? According to Justice For Iran, Raheleh Rahemipour Moghadam the sister of Hossein Rahemipour Moghadam wrote a complaint letter to UN against Islamic regime in Iran demanding UN to help investigate / find her niece ( Golro Rahemipour Moghadam - Who at the time was born in Evin prison ) . Hossein Rahemipour Moghadam was a dentist and a political activist, member of Rahe Karegar Organization, he was arrested together with his wife 32 years ago when the wife was pregnant , the wife gave birth in Evin prison 32 years ago on March , the baby daughter was 15 days old when the detained parents in prison asked prison authorities about their newly born babydaughter Golro Rahemipour Moghadam but were silenced , since then the question about the baby went no where and the father was executed in prison and the mother was released due to heart problem. In recent years the baby's aunt Raheleh Rahemipour Moghadam was seen in many protest events holding a placard asking the authorities : You have killed my brother Hossein Rahemipour ,what have you done with their baby ?!!!??? The family members of Hossein Rahemipour Moghadam don't know even where he is buried when executed by regime in Evin prison 32 years ago.